We will update you on our progress later in the term. 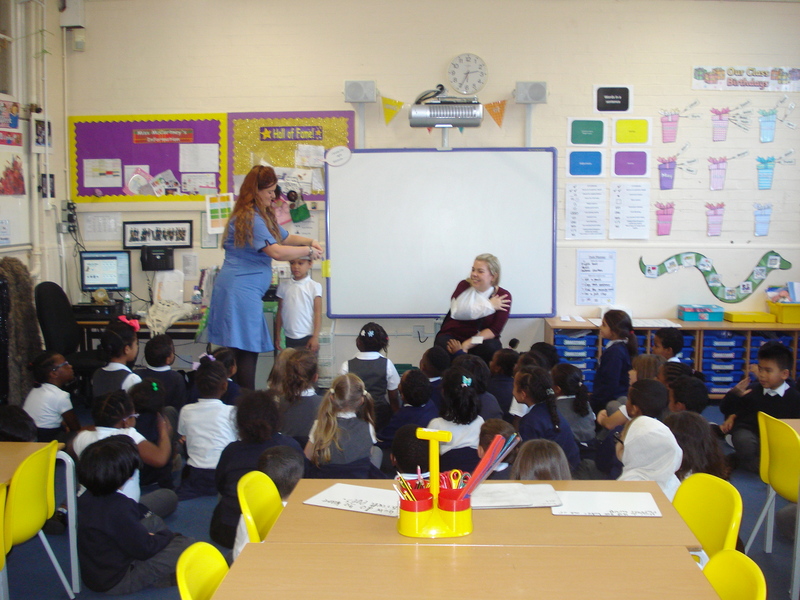 Maple Class have had an exciting start to Year 2. We have been reading a lovely story called 'The Robot and the Bluebird', which teaches the importance of friendship and resilience. 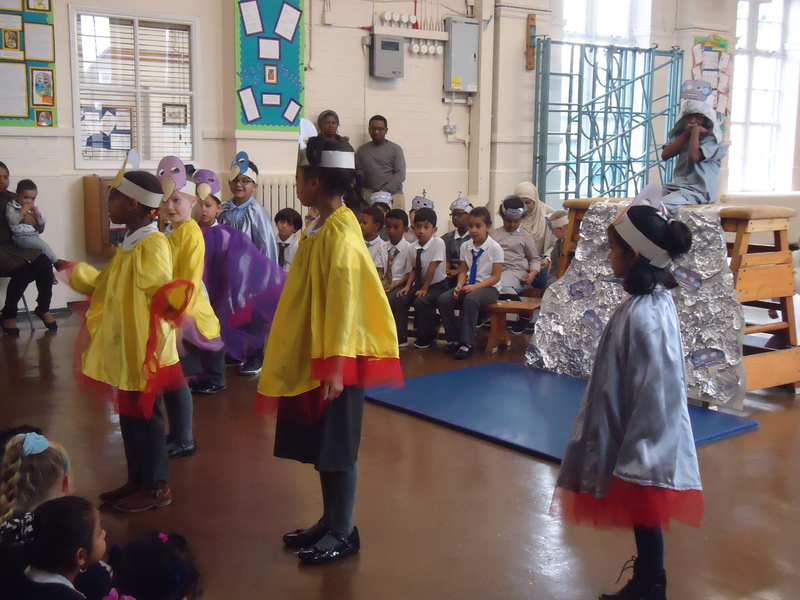 We enjoyed it so much we performed it to the school and our parents as our class assembly! In IPC, we have been learning all about our bodies as part of our Superhumans topic. We researched the jobs of our body parts and how they work and visited the Life Bus to continue our learning. 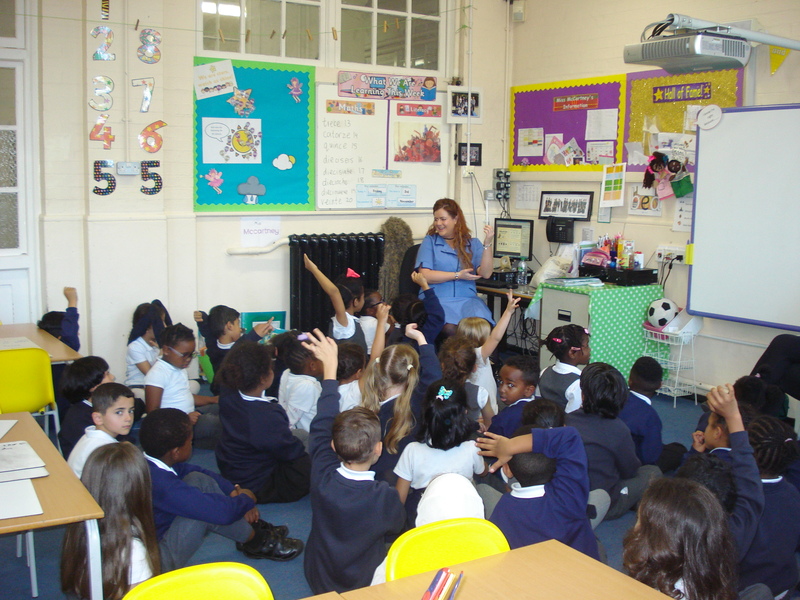 We have been thinking about ways to stay healthy and we had a visit from an NHS nurse who works at Guys St Thomas Hospital. She answered our questions and taught us how to put on a bandage. We will be visiting the Westway Sports and Fitness Centre to use our bodies to climb the climbing wall to finish our topic. We have a great half term and are looking forward to seeing what our next topic 'Let's Celebrate' will bring!